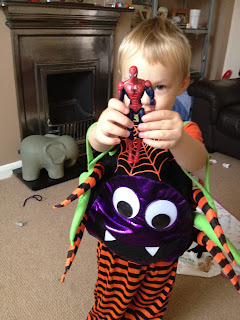 Emma in Bromley: The hunt for spiderman for preschoolers! 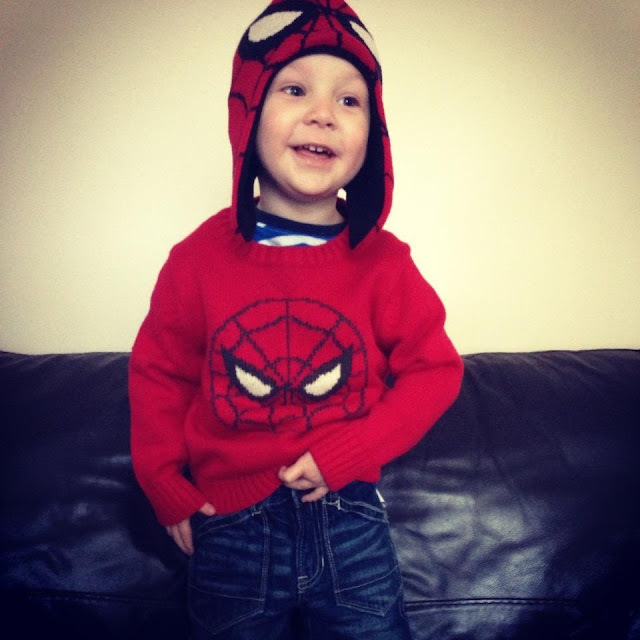 Blake is 3 and has recently developed a love for spiderman - he has a few toys, a toddler tooth brush, umbrella and tees all covered in spiderman! He also has Hat, Jumper and Jeans all from Baby Gap Covent Garden store all adorning spiderman - Thanks to Daddy's credit card! All this love has materialised without actually watching an episode of spiderman and has stemmed from all the advertising and merchandise everywhere! Quite a few of his little friends are also big spiderman fans and Blake has hinted at a number of new spiderman toys for Christmas (and we will be doing spiderman theme for him!- shhh!) - there's a really cute soft toy with light up (night light) eyes especially for little people that's adorable! I've noticed lots of spiderman tees and pj's for age 1 up and costumes with padded muscles in them in the Disney shop - a spiderman mr potato head for age 2+ and a wonderful looking playskool kit, junior roller skates, toyboxes and trikes, action figures and vehicles, again all for toddlers and preschoolers but what I am really struggling to find are spiderman cartoon episodes or comic books suitable for this age group! I've tried Netflix, you tube, marvel kids website and the actual TV and so far all the episodes I've tried have been violent - some even have bad language and sexual suggestions in the first few mins of the cartoon! I've come across a parody of the spiderman theme tune by forrestfire on you tube (we are fans of their duck song too) which is mostly ok for Blake but there is a bit of a bloody chopped off arm scene! Given the extremely large amount of merchandise and the 0-5's seemingly making up spiderman's largest fan base - why can't I find an episode or comic book suitable for young viewers? Anyone know where I can find one?